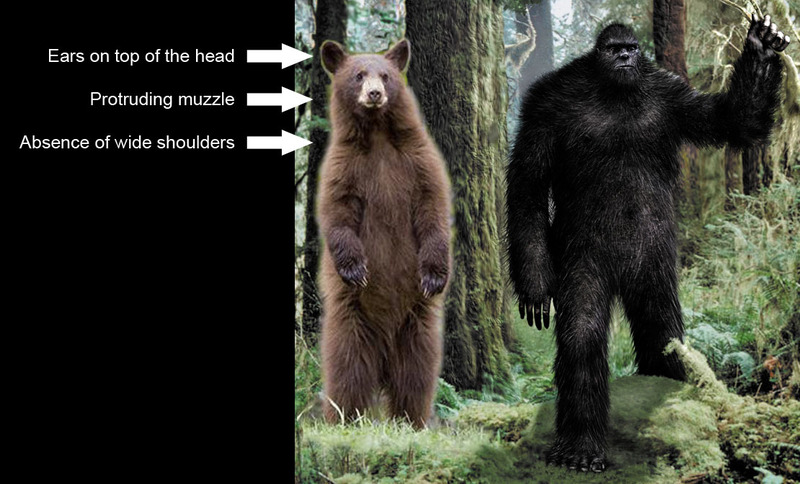 1) Indians called “them” Sasquatch. For centuries people from around the world have called these huge creatures by different names: see list. 2) Theodore Roosevelt, our 26th President of the United States recalls a Sasquatch encounter in his 1893 book, The Wilderness Hunter. 1) Hair samples found at sightings are that of an unknown primate. 2) Skookum Cast – a partial body cast obtained in 2000. 3) Increased Reports – the reasons: reporting has been made easier via the Internet and urban sprawl (we are invading more and more forests). 4) World renowned primatologist, Dr. Jane Goodall believes there is an unknown primate living in North America. Many scientists now place their reputations on the line, now openly support and conduct bigfoot research, such as Dr. Jeff Meldrum from Idaho State University. In the past a scientist would never admit they believed in bigfoot for fear of ruining their credibility, their university’s reputation, loose funding for research and possible termination. 5) Dermal Ridges found on numerous tracks around the world and throughout time. Formerly of the Conroe Police Department Jimmy Chilcutt, a fingerprint expert witness believes an unknown primate does exist. 6) Footprints – there is a ratio of length to width. 8) Patterson footage – amazing recent technological findings. 9) Many Credible Reports – police officers, scientists, teachers, etc. 10) Why is there a law in California that you cannot kill a bigfoot, for an animal that supposedly does not exist? II. Why haven’t we found a body? traveling under bridges avoiding roads. B. Avoid humans (shy, fearful) -- keep migrating to the deepest forests. C. Population of Sasquatch is very low. D. Have you been camping, hunting or hiking in the woods? Let me ask you this, have you ever seen a dead raccoon in the woods? Probally not, yet raccoons are abundant. The Sasquatch population is much, much lower than the raccoon population. E. Highly intelligent – if these creatures are some where on the evolutionary chain between us and chimps, they would indeed be very intelligent. F. Might bury their dead. G. A body can decompose in about a month. MonsterQuest showed a time lapse sequence of a deer carcass – scavengers, maggots, leaf cover and acidic forest floor did a nice job in devouring every piece of evidence. III. Where are the fossils or bones? A. The fossil record for chimps and apes is extremely sparse, thus likewise for bigfoot. B. The forest floor is not conducive to preserving fossils. Only recently, the first ever chimpanzee fossils were found in 2005. C. Some may exist: Gigantopithecus or many large skeletons have been found: The Nephilim Chronicles: Fallen Angels in the Ohio Valley describes over 300 historical accounts of giant human skeletons. A. Gigantopithecus (a 10ft tall great ape who lived as little as 300,000 years ago in Asia). Pangaea, when all the continents were connected, could of allowed Gigantopithecus to migrate to North America from Asia; this is also why Asia has many bigfoot sightings as well – aka, the Yeti or abominable snowman. C. Paranormal. Or, if they emit infrasound as many researchers believe, the infrasound might be perceived as a ghostly sensation. A. Thousands of new species of animals and plants are discovered every year. B. Coelacanth – a fish believed to have gone extinct 65-plus million years ago was found alive in 1938. C. Mountain Gorilla – was first discovered as recent as 1902. D. Thylacine – the Tasmanian tiger was initially thought to be extinct; unfortunately the last one died in 1936. E. Colossal Squid –- discovered in 1925. Here's a list of excellent books. It doesn't matter if you are a novice, or a veteran squatcher, if you want to educate yourself on these mysterious creatures, these books not only include fascinating encounters, they provide evidence of their existence, give insight to their origin, paint a picture of their behavior and probably most importantly, provide valuable research strategies. Every author is a highly respected, accomplished bigfoot researcher with a lifetime of knowledge under their belt.